Patricia Piccinini loves the way an exhibition can change the space it occupies, that a gallery can be transformed by the work it contains. By introducing Pneutopia 2018, a giant inflatable blooming from the roof of a garden shed, she has completely disrupted the sight lines of the Gallery of Modern Art’s (GOMA) long gallery during ‘Patricia Piccinini: Curious Affection’. It’s impossible to view the inflatable’s exterior in full, rising up over three floors, there is no point where you can step back far enough, this can only be done successfully from inside the garden shed looking up. 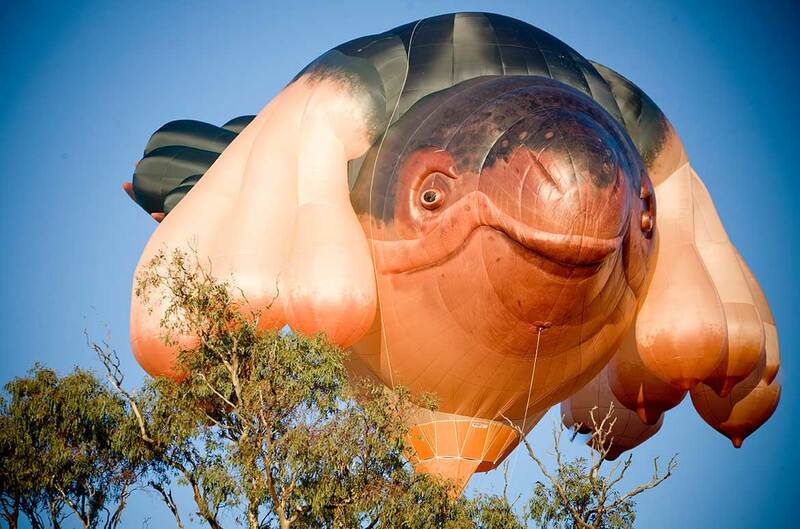 The inflatable follows on from Piccinini’s controversial Skywhale, a huge hot-air balloon of a whale, commissioned for the Centenary of Canberra in 2013. 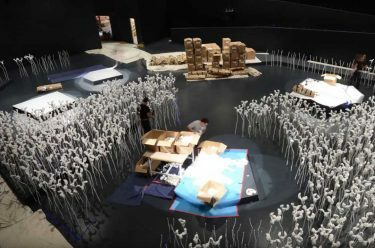 The title Pneutopia is derived from the ancient Greek word ‘Pneuma’ which translates to air, and ‘topia’ for ‘space’, combines to become ‘a space for air’. 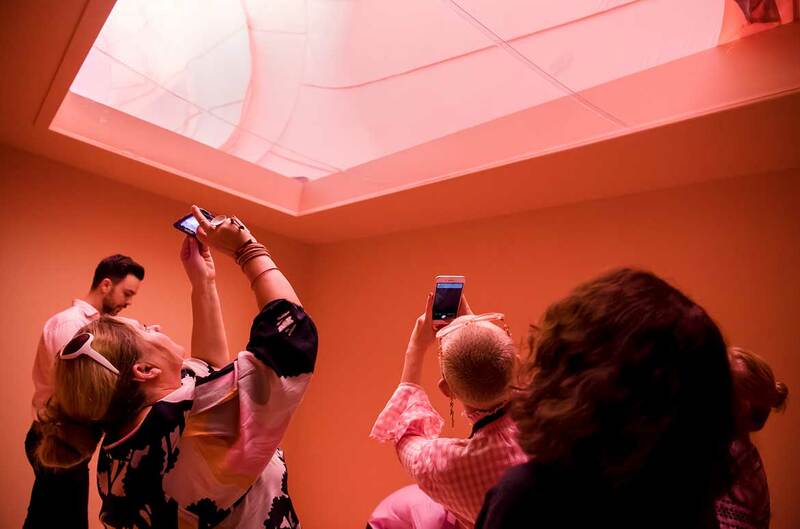 Piccinini was inspired to create this magnificant site-specific work for Brisbane after she was able to enter the whale balloon during its inflation. You now have the unique opportunity to experience this other-world sensation only at GOMA. 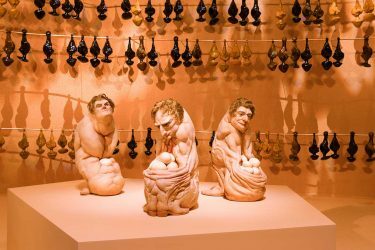 Known for her imaginative, yet strangely familiar, lifelike hybrid creatures, Piccinini invites us to think about our place in a world where advances in biotechnology and digital technologies are challenging the boundaries of humanity. ‘Patricia Piccinini: Curious Affection’ occupies GOMA’s entire ground floor with a retrospective of her most recognisable works from the past 20 years, and a suite of immersive multisensory installations. The exhibition is exclusive to Brisbane from 24 March – 5 August 2018. Next PostNext » What’s so special about being young, anyway?